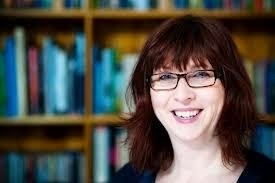 Jayne Baldwin Blethers: Next book? Fiction is Easy! I was recently asked to write a guest post on Louise Gibney's blog misswrite. It was all a bit last minute, but as a journalist I work best when facing a deadline. I decided to write about a question I'd been asked at a reading event the previous week. I'd read from my new book, which at that point hadn't been published, but during the interval one interested reader asked what my next book would be? It seems churlish to find this a tad annnoying, after all the questioner clearly liked my work and was keen to read more, but when you're only just coming up for air from the months of writing and researching, it did mean taking a deep breath before answering. I've been asked the same question several times now in the last three weeks since my book was launched, and I remember having the same conversation with people after my first book four years ago. BUT I have to say that the conversation I had yesterday really took the biscuit. In a lull in the conversation one of my in laws asked how my new book was selling but this was closely followed by the 'and what's your next book going to be question'. (Screaming inside but trying to smile) I replied that I have to make sure this one sells first. Whilst still trying to stop the smile from turning into a snarl, it was then suggested to me that I just write a fictional book, after all, that didn't take much work as it all comes out of your head. I could rattle off one of those novels in no time couldn't I? I believe I deserve a medal for the patience I showed as I, not too calmly I confess, explained the difficulties of writing books, fiction and non fiction. It was all I could do not to start ranting.